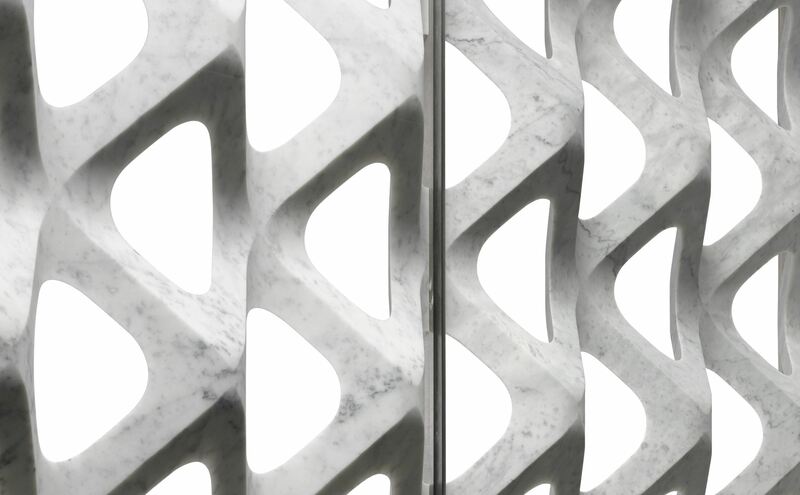 Diaframmi is the new collection of modular marble partitions by Lithos Design, fine 3D marble membranes which are permeable to light, where marble eludes the limit of its specific weight, forming an aerial harmony that is functional to the achievement of decorative partitions. 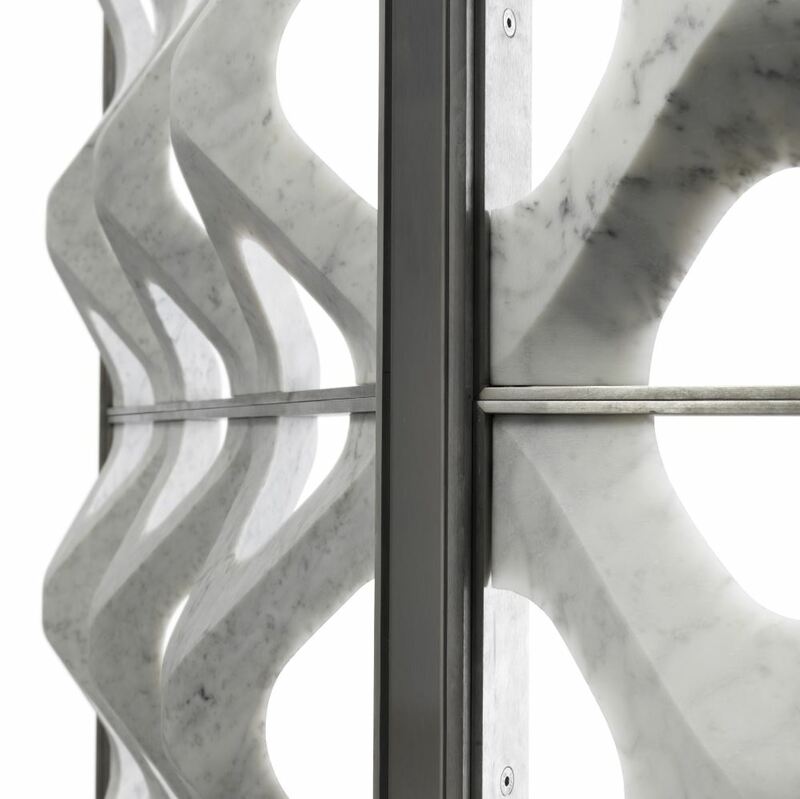 In Diaframmi, the incredible lightness of marble is teamed with that of steel, used to frame each individual module (120 cm x 120 cm). 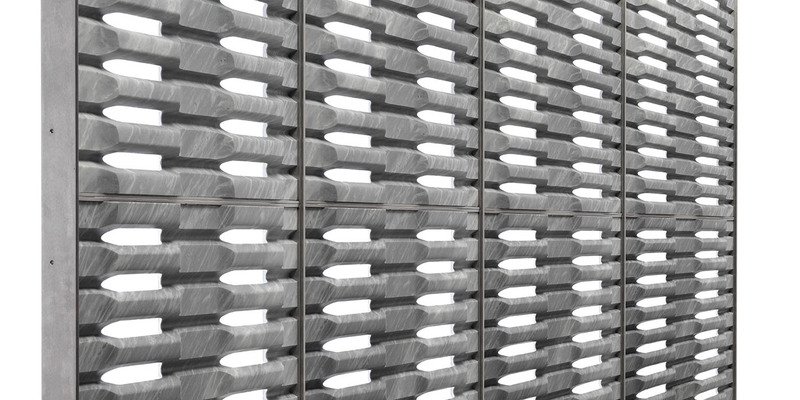 A tapered metal frame devised both to lend stability as well as to help compose the wall which, in the same way as an interlocking game, can be assembled easily depending on the design requirements, even allowing solutions with angles. The two models in the collection, namely Retina and Iride, are the result - as the designer, Galiotto, explains - “of a study into the formal possibilities which technology allows according to a reduction in waste” and embody the wealth of knowledge and some of the inspiring principles behind the work of Lithos Design: total industrialisation, integrated creativity, the value of which is enhanced by technology, environmental friendliness thanks to the optimisation of the industrial process, which entails reduced waste and energy savings.